Our projects are handled by our own team of experienced professionals, never subcontractors. Nearly every service we provide can be completed within a few hours of your initial call. Get lifetime warranties and three annual maintenance visits with our Gold Star Home Care Membership. No project is too big or too small – we offer comprehensive plumbing services, including leak detection and repair, burst pipe repair, toilet unclogging, repiping, and more for residential and commercial bathrooms and kitchens. Have your bathroom or kitchen drains unblocked and back to working with maximum efficiency in no time with our drain cleaning services for residential and commercial buildings. A more comfortable interior temperature for your home is just a phone call away. We’ll service any existing HVAC system or install a new heating and cooling system that will meet all of your needs. Working with gas lines is a dangerous task that should be left to professionals. Our master gas feeders are the best for the job and can be trusted to install new gas lines and repair leaks. A water softener or filtration system will purify your tap water and give you access to a never-ending supply of clean, contaminant-free water for drinking, cleaning, cooking, and bathing. With locations in Sterling and Alexandria, Cardinal Plumbing Heating & Air Inc. is positioned to serve home and business owners throughout all of Northern Virginia. We are a fully licensed, locally owned company that provides same-day service to area communities at an honest value, seven days a week.  Our technicians are company employed – never subcontracted – and led by master plumbers, certified HVAC technicians, and master gas feeders. We provide ongoing training for all of our employees to ensure we’re able to provide the highest level of service for our customers. With more than 5,000 five-star customer reviews, an A+ rating with the Better Business Bureau, and a money-back guarantee, we are the company you can trust for all of your plumbing, HVAC, gas, and water needs.